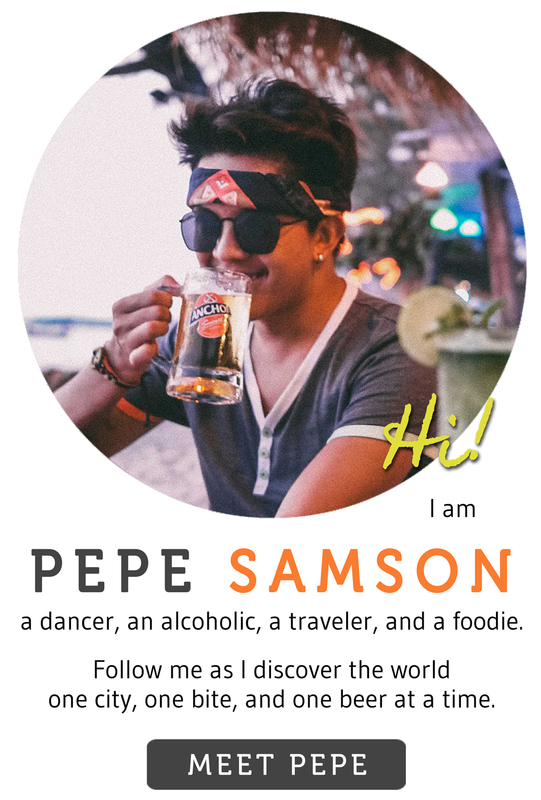 When you think about “dining” and “Cebu”, two things first come into mind: lechon and Casa Verde. 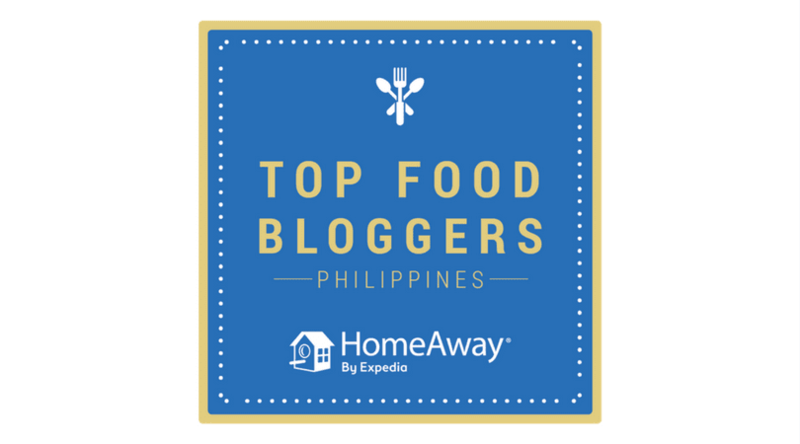 The city has elevated the roast pig into an international sensation—as evidenced by Bourdain’s love for Zubuchon—and as for Casa Verde, tourists and local alike lineup in any of its 3 branches like bees, aching to taste those famous juicy ribs. 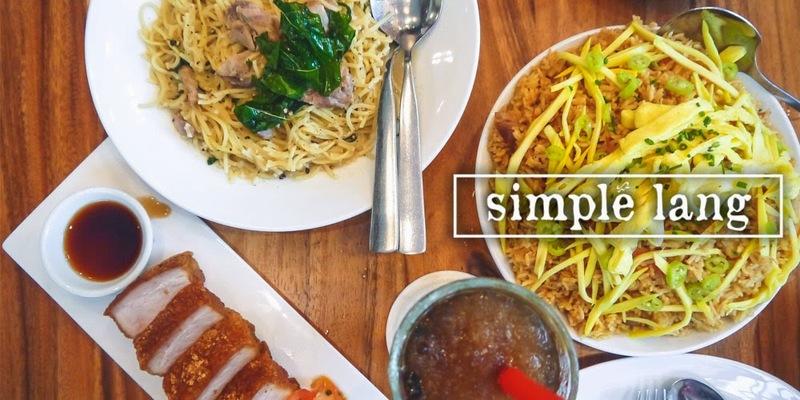 But little do people know that this ribs empire has another dining concept that is just as exciting, delicious, and affordable. 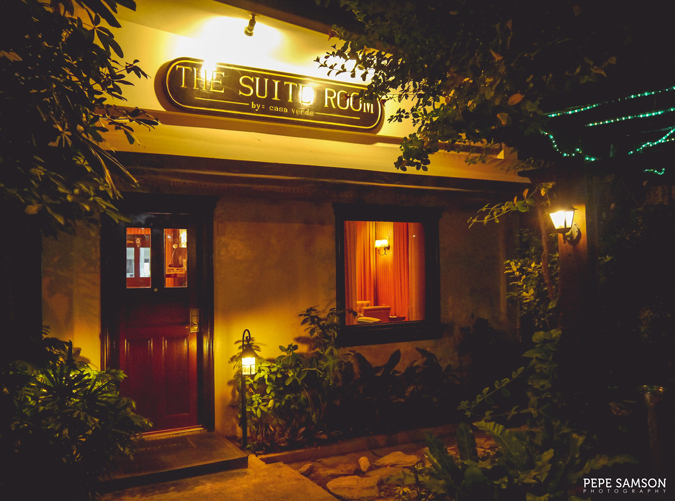 The Suite Room in Ramos, Cebu City is a tasty secret hidden in the quiet street of Lim Tian Teng, an unassuming boutique restaurant tucked away in this side of the city—awaiting discovery. 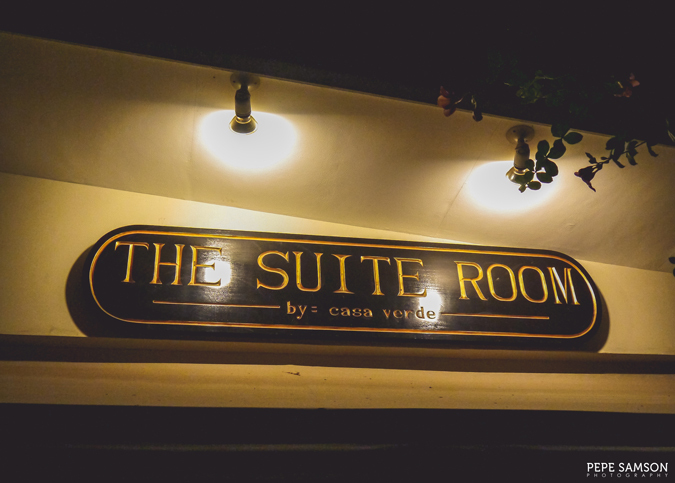 Much to my surprise, The Suite Room has been in Cebu for 3 years now, and it aims to continue Casa Verde’s 14-year legacy with a different concept. 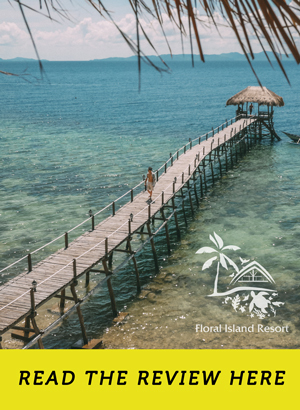 As the name suggests, the hotel room-styled restaurant promises a dining experience like no other with its deluxe amenities, personalized service, and gourmet offerings. I couldn’t help but feel amazed once I stepped foot into the small 6-table restaurant. Indeed, it looks like a suite—an impeccably-designed one, in fact. 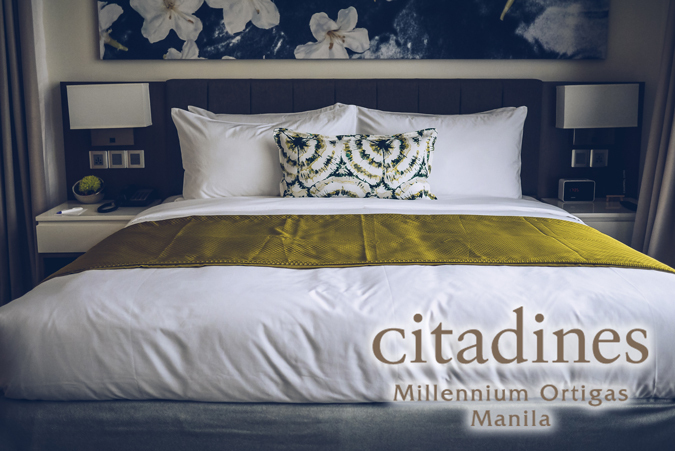 It reminded me of Hotel Celeste boutique hotel in Makati, with the same custom furnishings, lavish accents, and intricate details. 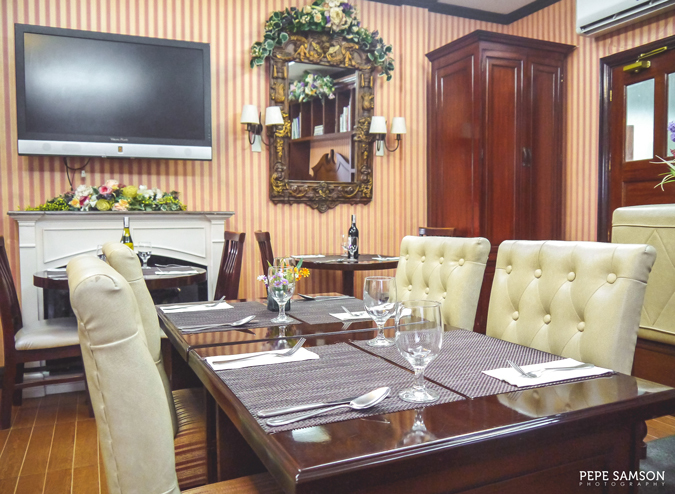 One glance and anyone would instantly want to sit down and check the menu. 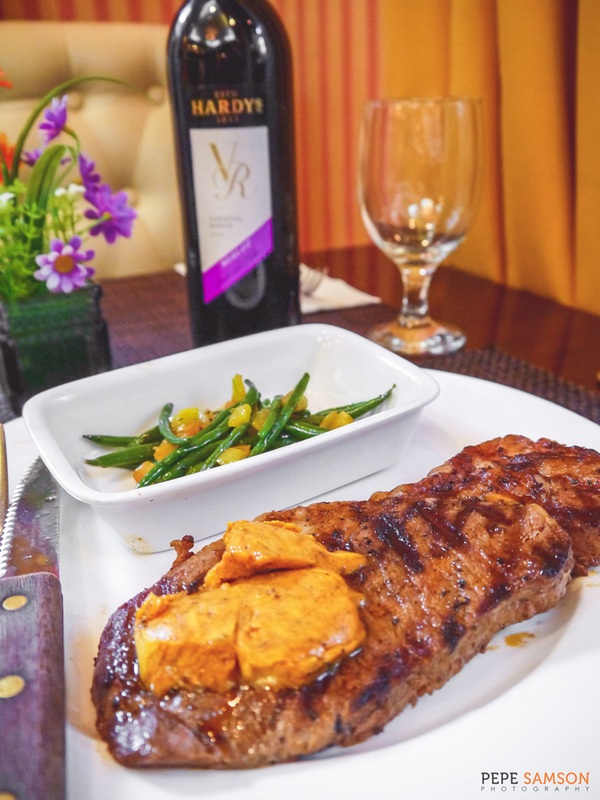 While Casa Verde serves homey American fare, The Suite Room gravitates toward the finer dishes: steaks are man-sized yet delicate, not something a group of hungry high school boys might hoard (or share), which is more like how they would do it in Casa Verde; the appetizer list features luscious seafood and risottos; and for dessert, diners can share a hunk of ice cream cake especially made in-house. 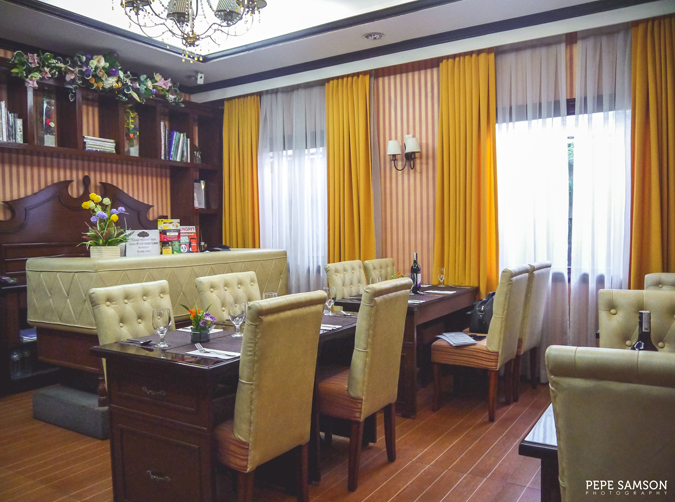 Casa Verde is for families out for Sunday lunch, barkadas touring Cebu, or hungry students who are on a budget but who still crave for good food. The Suite Room, on the other hand, is for the yuppie eager to impress a business colleague; the discerning foodie craving for something a “finer” than Casa Verde; the hopeless romantic looking for an intimate, impressive venue for a casual date; or families with something special to celebrate. 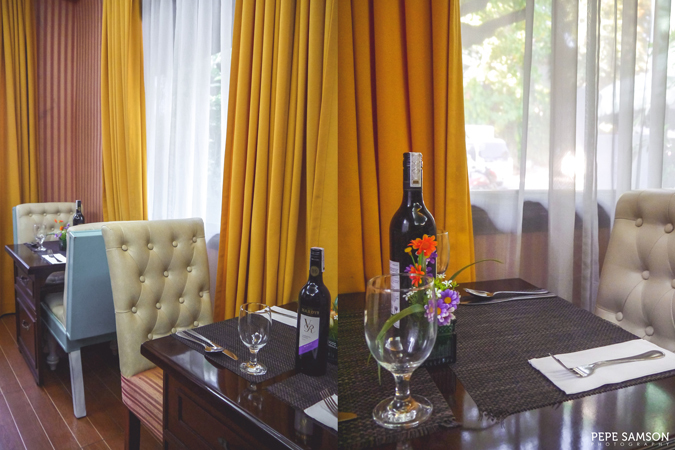 Its ambience exudes the feelings of romance, majesty, and elegance, yet when you peek into the menu, you will find that everything is reasonably priced. 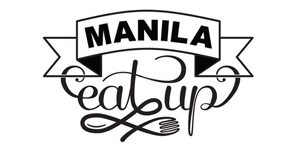 Somehow this makes you wonder if the food here is crap—small servings and mediocre quality to make up for the pricing—but knowing that it was from the same people behind Casa, you are sure that you’re in for something equally superb. 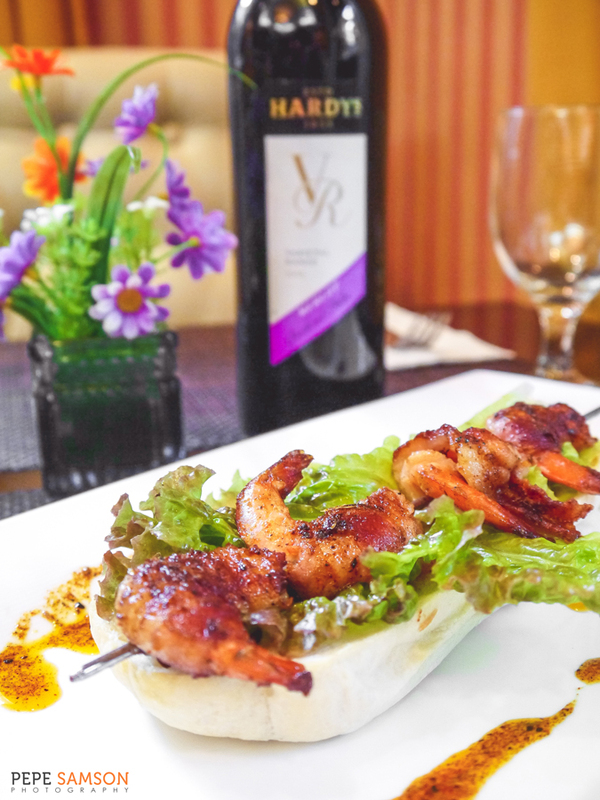 And damn right, I knew it when the first appetizer came in, the Skewered Shrimps on a Blanket (PhP158). 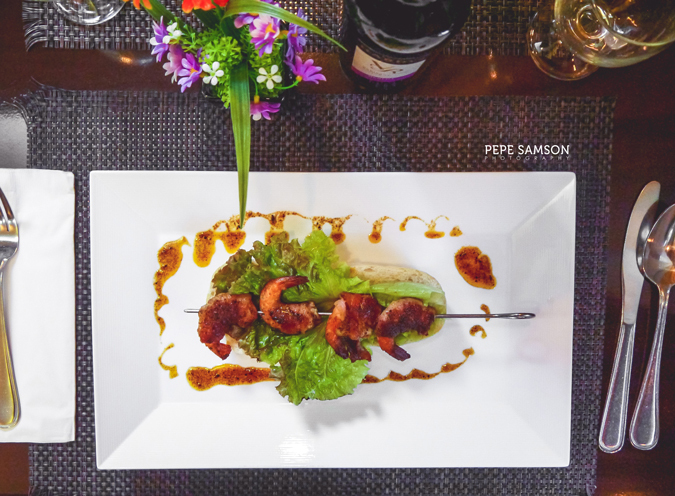 Lying on a bed of greens are plump shrimps sheathed in bacon—a mini surf n’ turf which combines the juiciness of land and sea. OMG these were fabulous, especially when you smear a piece with that glistening paprika-spiced olive oil! You have to eat each bite with the bread, and if you have some left over, wipe the bread onto the oil as well. 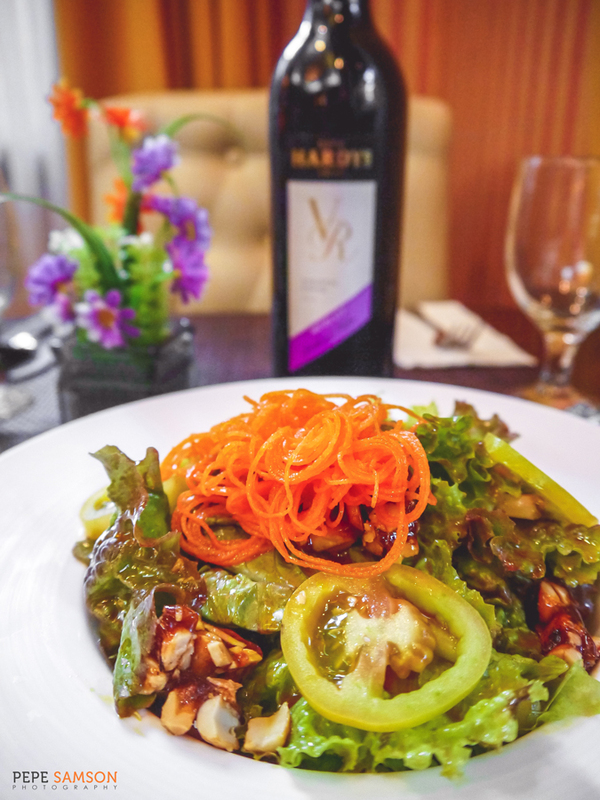 Gourmet salads are available—to the delight of healthy eaters—and The Suite Room’s signature salad, the Mixed Greens with Candied Nuts and Grapes Salad (PhP188) was undeniably sumptuous. 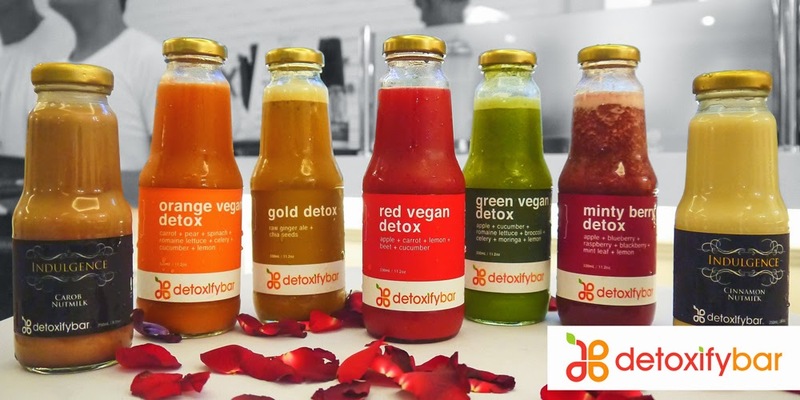 It comes dressed with a sweet and acidic strawberry vinaigrette, which came to mind my recent trip to Baguio. It was certainly a light, refreshing, and delicious way to start a meal. 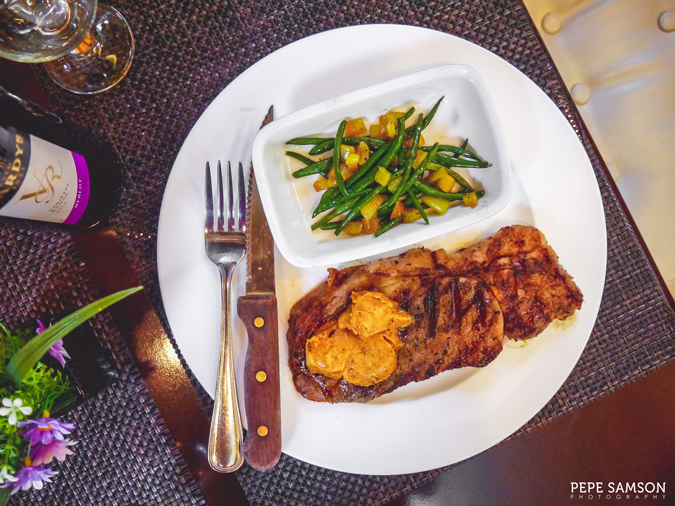 The steaks, as I said, are in generous portions, like the Rib Eye Steak (PhP530) below. Ordering any steak gives a choice of 1 side, 1 sauce and steamed rice. 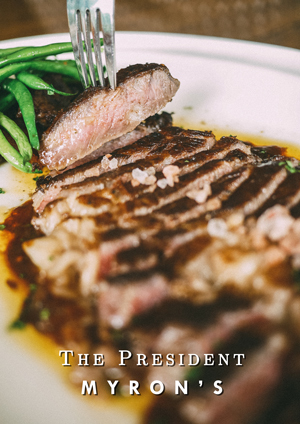 We had a side of French Beans and Cajun Butter sauce, which gave the steak a deep, rich flavor. The meat itself was juicy and tender, and even without the sauce you’re good to go. My favorite, however, was the Pan-Fried Salmon in Citrus Butter Sauce (PhP378). It was, in one word, exquisite. The slab of fish was moist, beautifully flaky, and seasoned perfectly. 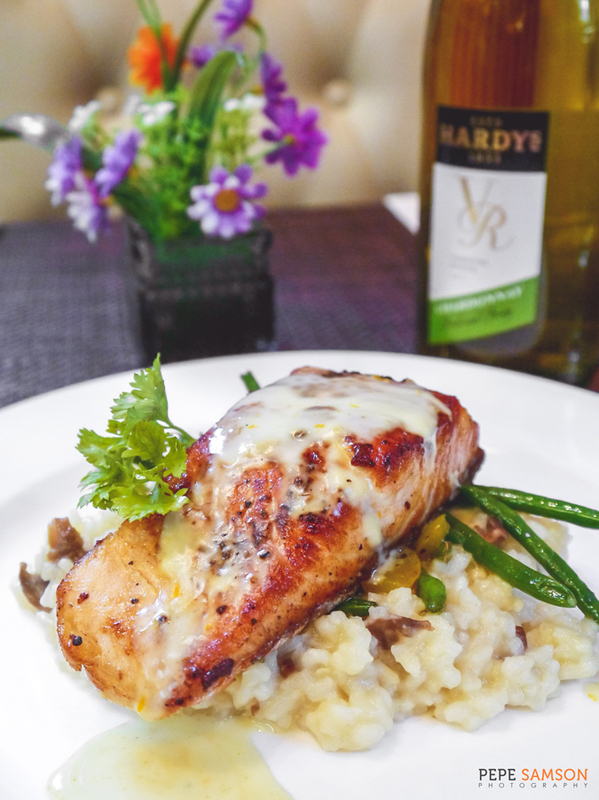 It lay on a bed of mushroom risotto, which couldn’t have been a better partner—introducing an earthy element into the dish. The asparagus provided added texture. 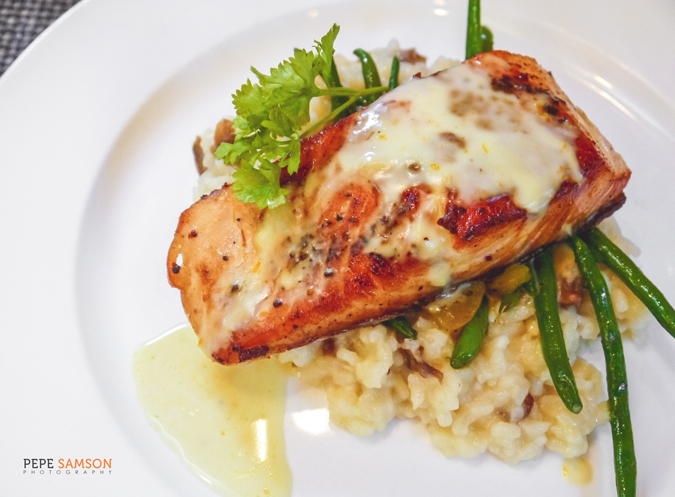 The skin was delightfully crisp—and if you’re one of the people who prefer salmon skinless, you need to ask yourself where you actually find pleasure in your life. Dessert didn’t disappoint—how could it, these are the same people behind Lauren’s Lava Cake and Bliss O’Berry—and right after our mains, we assailed the monolith that is the Green Tea Ice Cake (PhP238). Made in-house, The Suite Room’s ice cream cakes come in flavors such as caramel macchiato, strawberry, apple cinnamon, and matcha. 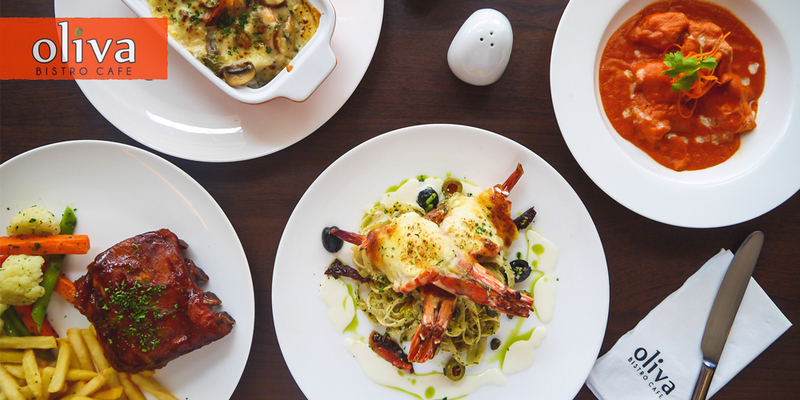 Each piece is good enough to be shared by two to three people. 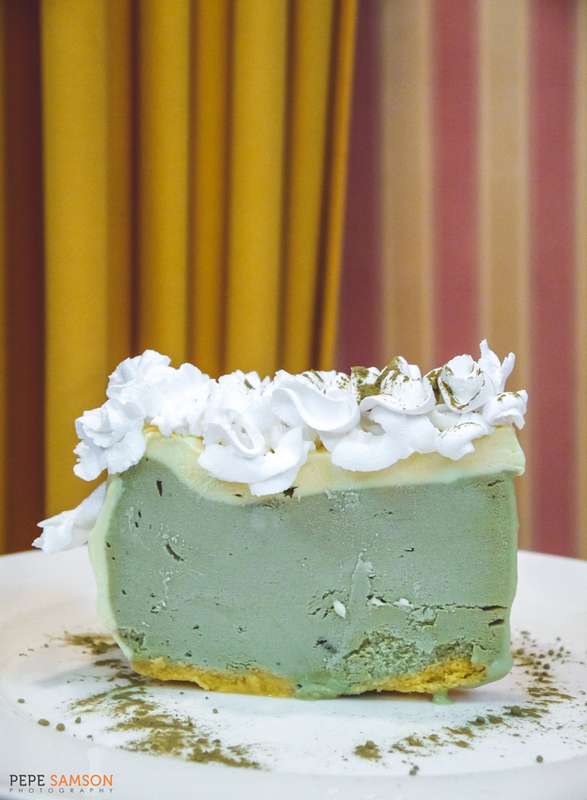 Ours had a really thick layer of green tea ice cream atop a thin crust, crowned by cream cheese, whipped cream and matcha dust. This cake had both bitterness and sweetness—a perfectly-executed green tea cake, if you ask me. 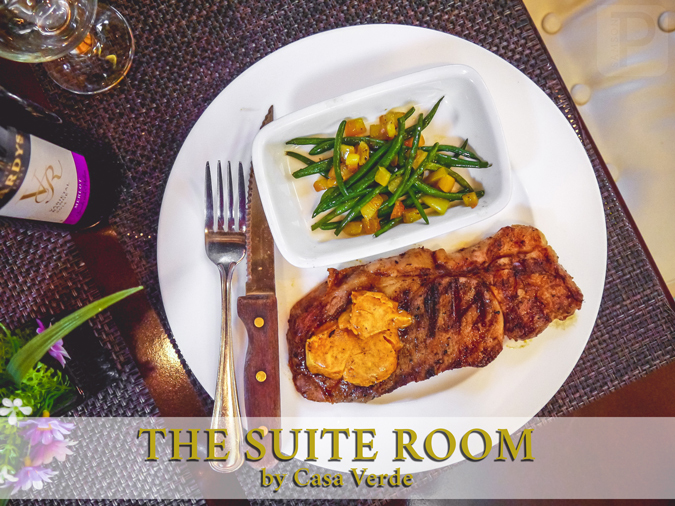 It’s almost unbelievable that The Suite Room is a Casa Verde spin-off, but when I really think about it, when I think about how hearty, delicious, and affordable each dish is, I am assured that THIS IS Casa Verde. 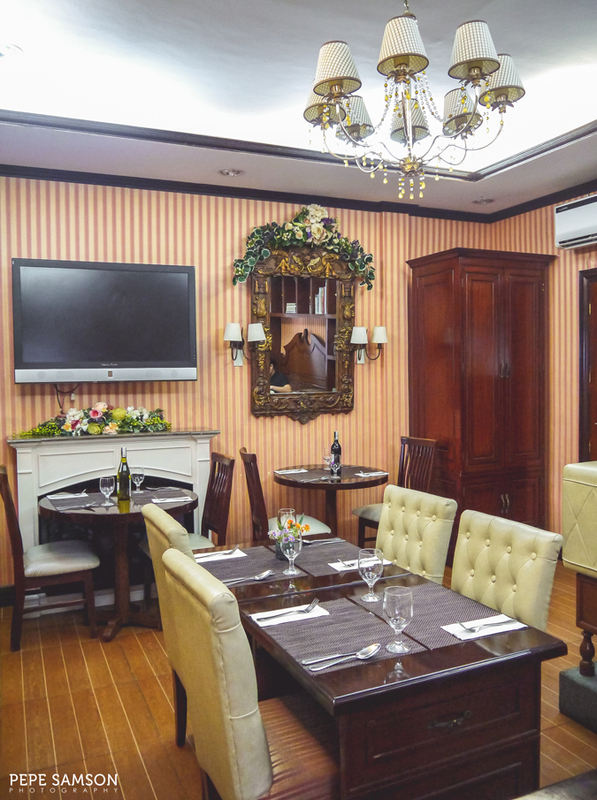 It just took the 14-year-old restaurant into a different form, but beyond the elegantly-plated items and stylish interiors is still a humble restaurant that calls to mind the fondest memories, whether it’s about something you have tried elsewhere or right at home. Do you love Casa Verde? What do you think of The Suite Room's concept? My meal was sponsored by The Suite Room. All opinions, however, are my own.